At CityTrust Healthcare we recognise helping you with cleaning your home or other domestic tasks can make a huge difference to your day-to-day life, particularly if these tasks have become more difficult over time. 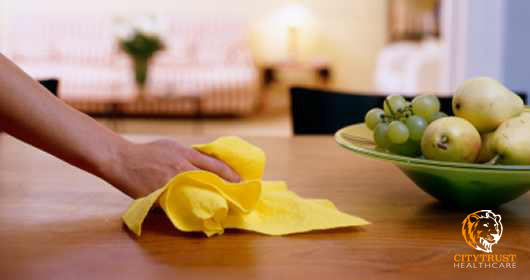 Choosing CityTrust Healthcare to help with your domestic cleaning duties means you can pursue the activities you enjoy. Importantly, we guarantee any member of staff visiting you will be fully DBS checked (Criminal Record Disclosure check).